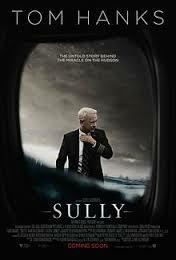 Sully is American biographical drama Indian English film. It was released in 2016. Tom Hanks, played lead roles. Aaron Eckhart, Laura Linney, Anna Gunn, Autumn Reeser, Holt McCallany, Jamey Sheridan, Jerry Ferrara, Max Adler, Sam Huntington, played supporting roles. It was directed by Clint Eastwood and produced by Clint Eastwood, Frank Marshall, Allyn Stewart, Tim Moore. Music composed by Christian Jacob.